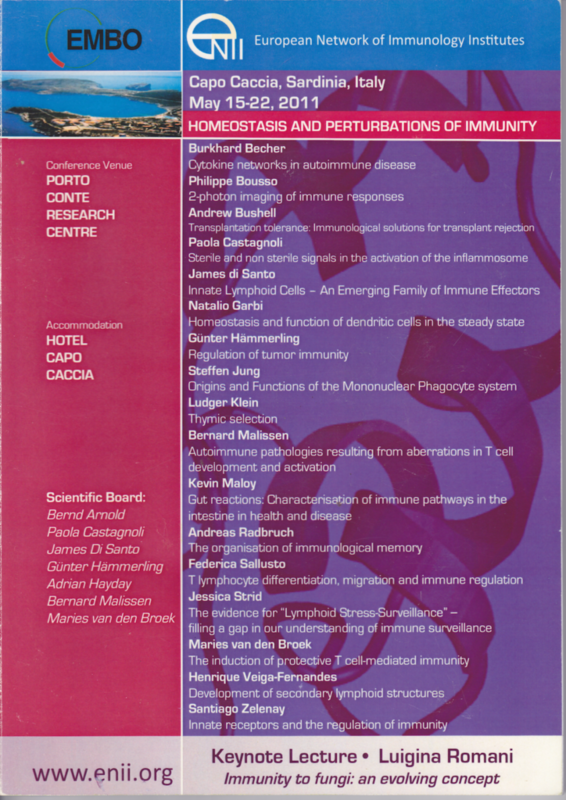 The European Network of Immunology Institutes (ENII) was founded in 1985, more than 30 years ago, by 15 European Institutes devoted to research in molecular and cellular immunology. 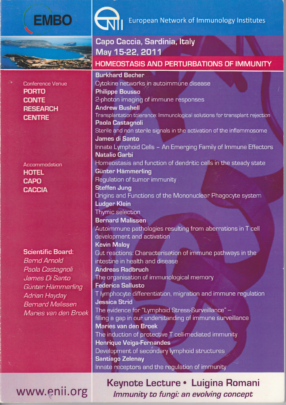 The mission was to promote the quality of education and research in the field of immunology through scientific exchanges between laboratories and researchers belonging to the European countries. The commitment was to create a European Network of Excellence and organize annual activities on the small island of Les Embiez, in the south of France. 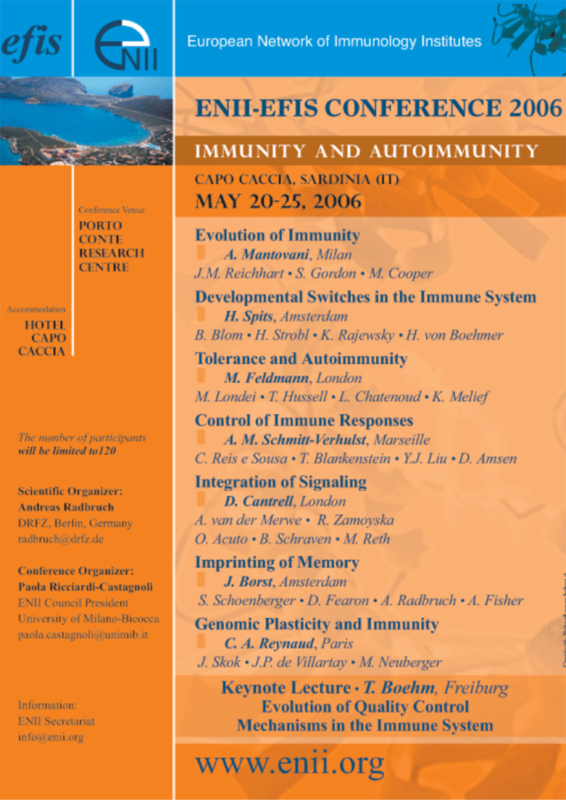 In 2006 the ENII activities were relocated to another island, Sardinia, in Italy. Presently, the ENII Institutes are 31 European Research Departments located in Belgium, Finland, France, Germany, Ireland, Israel, Italy, Norway, Portugal, Spain, Sweden, Switzerland, The Netherlands, United Kingdom. 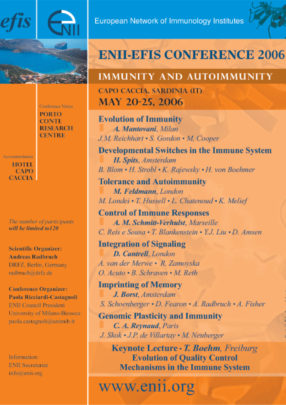 This number can be extended to other European Departments of Immunology (scientific excellence is the only requirement). 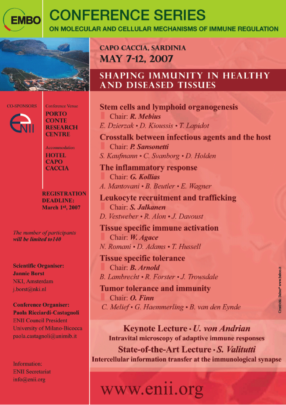 ENII has organized 21 annual workshops (1986-2006) and 3 EMBO Conferences (2007-2009-2011) on Molecular and Cellular Mechanisms of Immune Regulation. 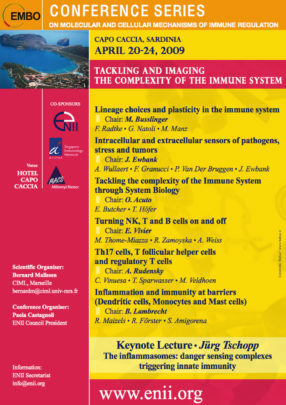 The objective of this Conference series was to create a forum to discuss cutting-edge topics in the quickly developing field of immunology with specific interest on the mechanisms that regulate immunity. 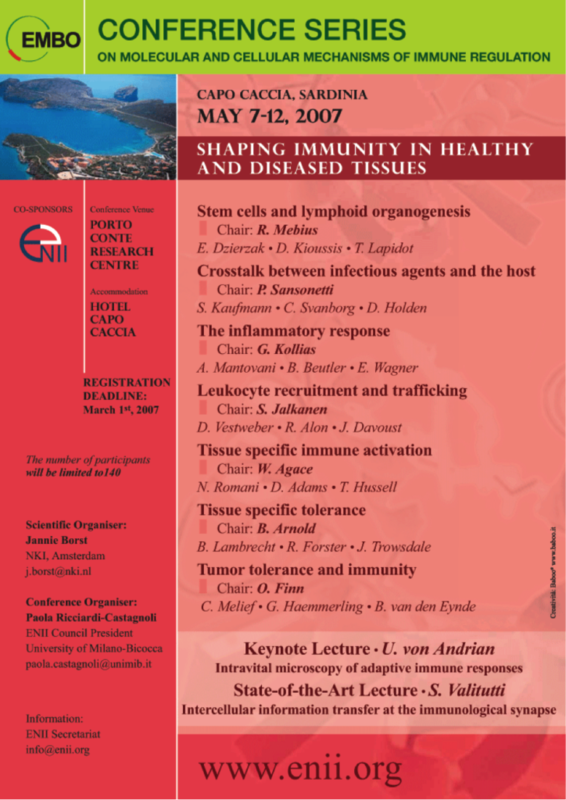 In 2006, ENII started a Summer School in advanced Immunology that was held near Alghero in Sardinia (first at Capo Caccio and then at Porto Conte) until 2014 and then in Costa Smeralda at Porto Cervo (Sardinia), among the most spectacular coasts of Sardinia. 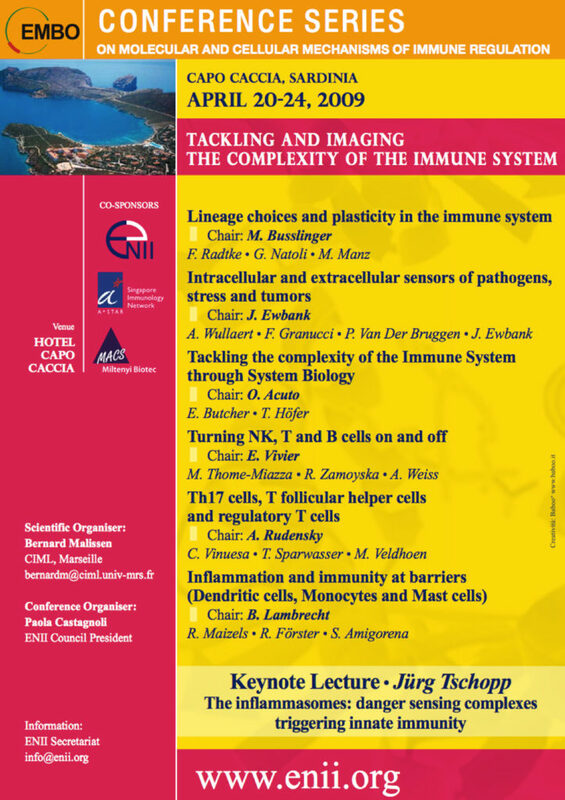 The ENII Summer School was designed for PhD students and early post docs who already have a basic knowledge of immunology. The six-day course is a combination of lectures from the guest faculty, which are then followed up with smaller tutorial sessions to allow greater interaction and time for addressing the current issues of the topic. Poster sessions are an integral part of the school. In addition, 20% of the students are selected to give brief oral presentations in the main auditorium – Student presentation prizes are awarded to the top 4 presentations.